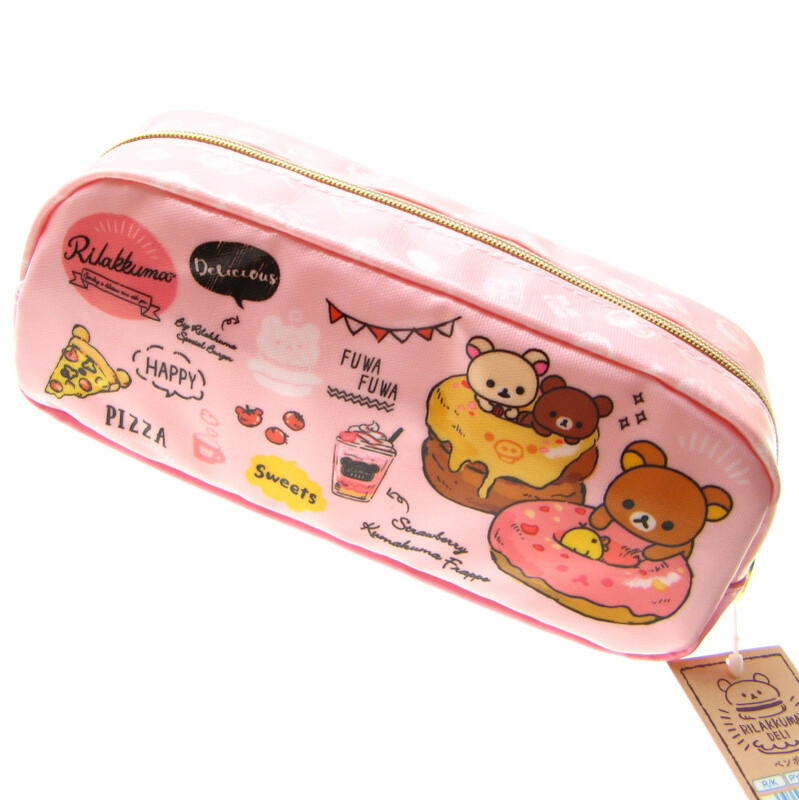 This genuine San-X original Rilakkuma Pencil Case comes in a colourful deli themed design in pink featuring Rilakkuma and friends with lots of food items like pancakes, pizza etc. 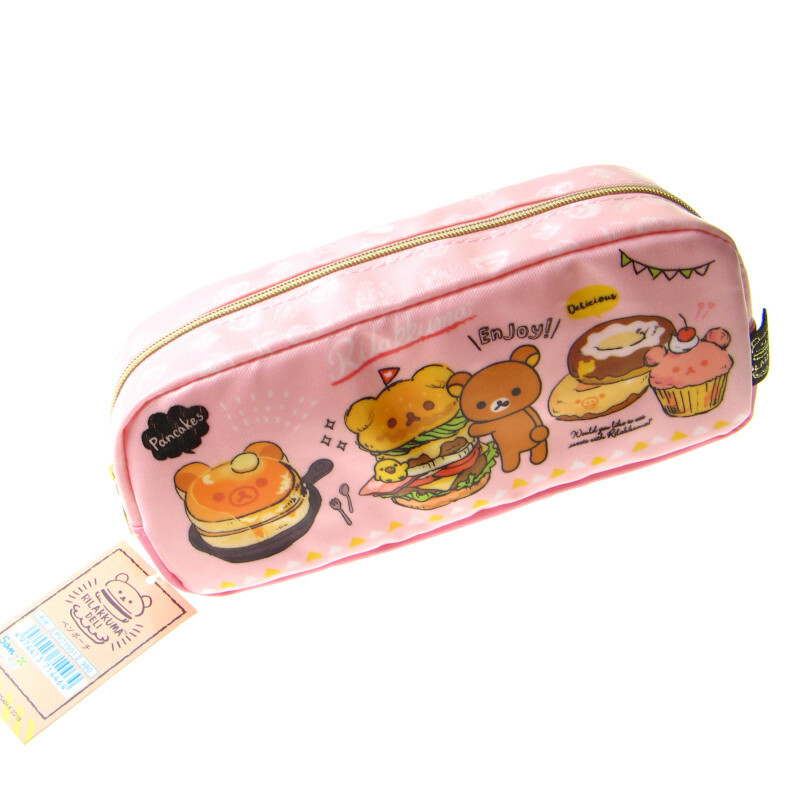 The lined pink interior and inside pocket is practical for storing your stationery and the gold metal zip complete with a metal charm ensures the security of your pencils. Images are for illustrative purpose only. Genuine licensed Japanese import.